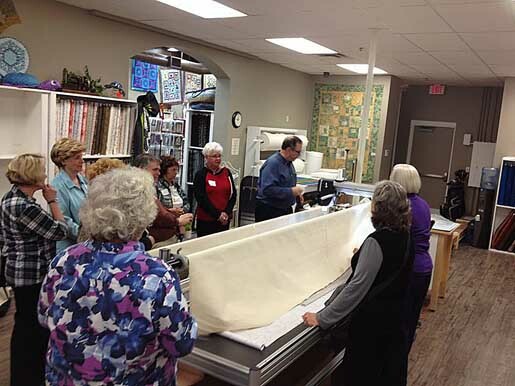 BERNINA Brand Ambassador John Kubiniec tested the BERNINA Q24 Longarm Quilting Machine and shares his favorite ten features. 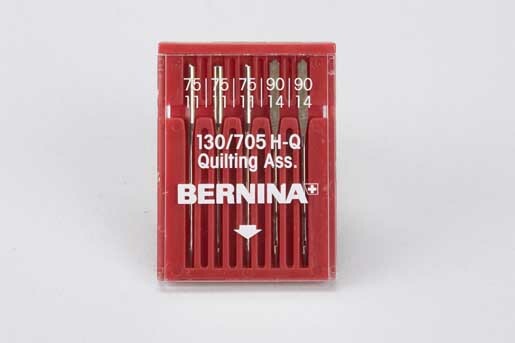 Last year I had the privilege of traveling to Steckborn, Switzerland to be a tester for the new BERNINA Q20 and Q24 longarm machines that were being developed. 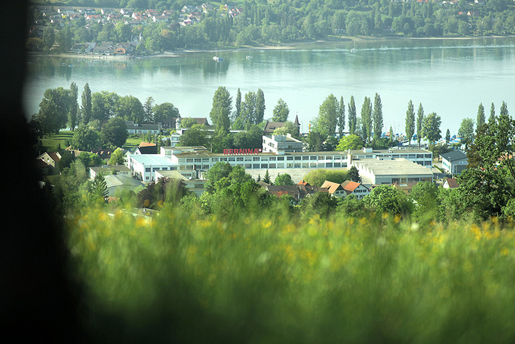 It was love at first sight—yes, with Switzerland but really with the Q24 and Q20 Longarms. There are many great features on this machine and I would like to share with you my top ten that make set it apart from all the others. 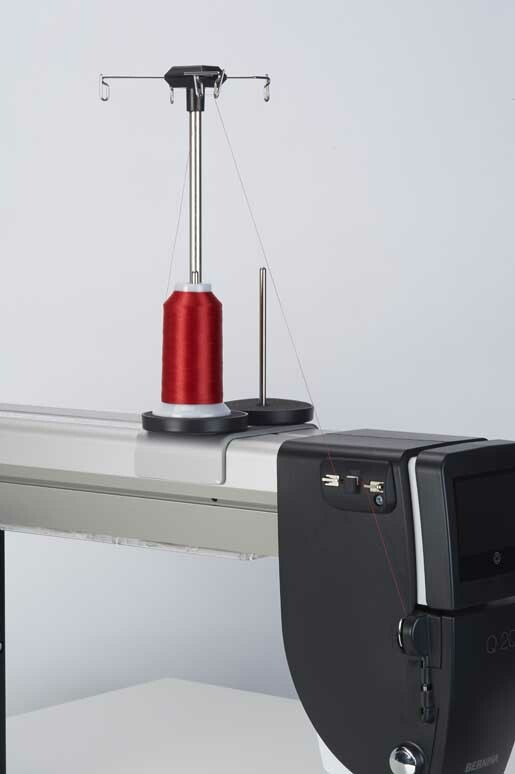 This longarm uses conventional sewing machine needles that have a flat shank. No more need to determine if your needle is in straight—simply insert the needle, tighten it, thread the machine and off you go. 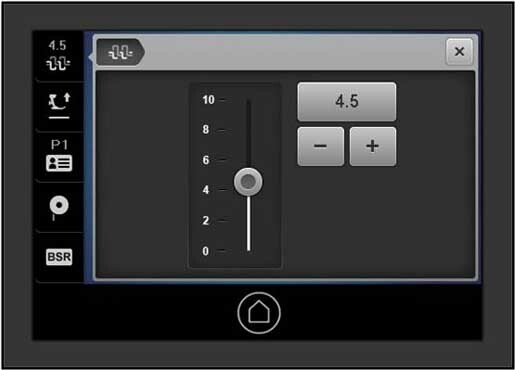 This feature also helps to make an easy transition from a domestic machine to the longarm—no need to learn a new set of needle numbering. 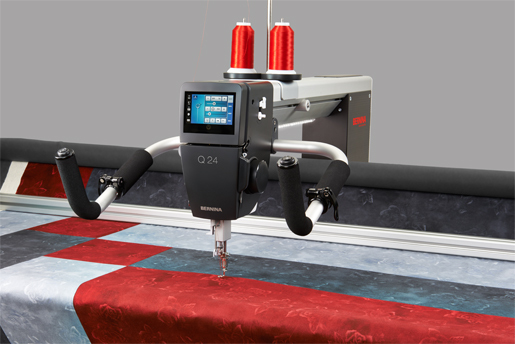 In addition something this longarm can do that others can’t—it can use double needles! 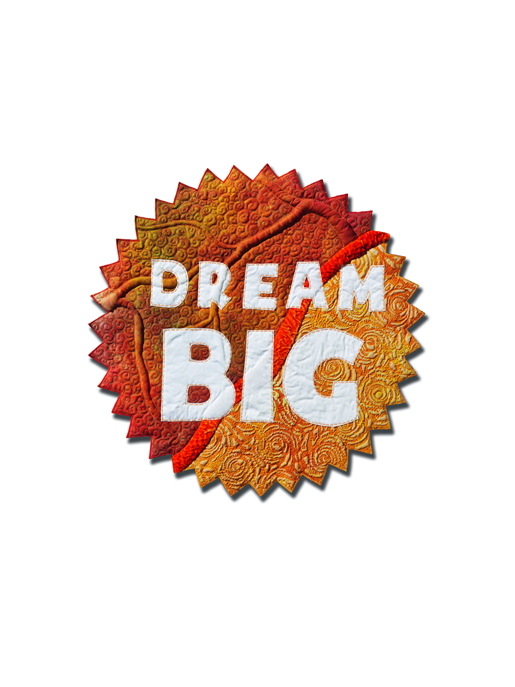 Yes that’s right—just imagine all the fun you can have. 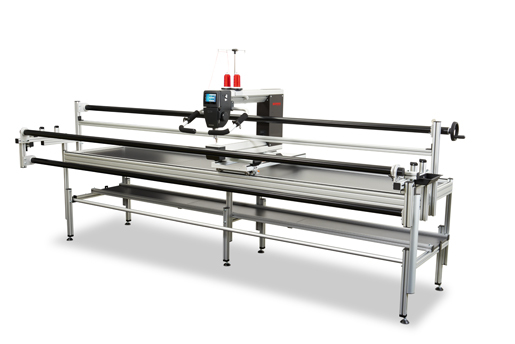 The longarm uses the same locking mechanism for feet that the domestic machines have. This means that any hopping foot you use for quilting on your domestic machine can be used on this machine. In addition a new 96 foot has been developed for ruler work. A horizontal side spool is also available. The handles adjust up and down, in and out, and they twist and turn. 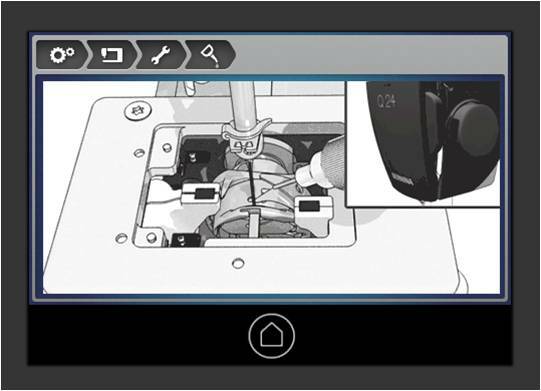 It is easy to change handle position to improve ergonomics and also improve sight lines. 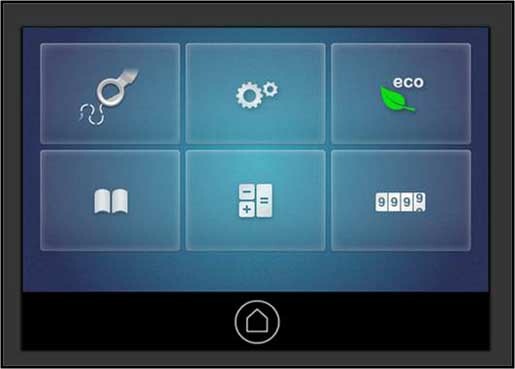 In addition there are four programmable buttons so that you can customize the handles. 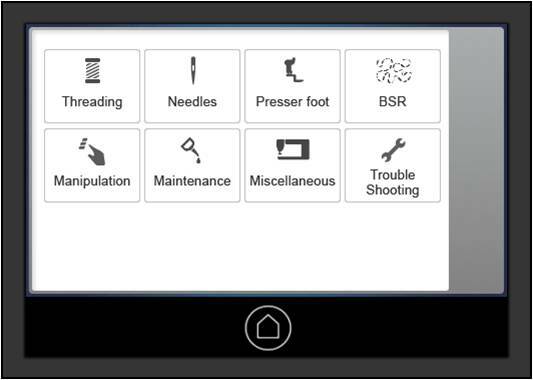 Programmable functions include: needle up/down, foot up/down, speed up/slow down, on/off, and tie off. 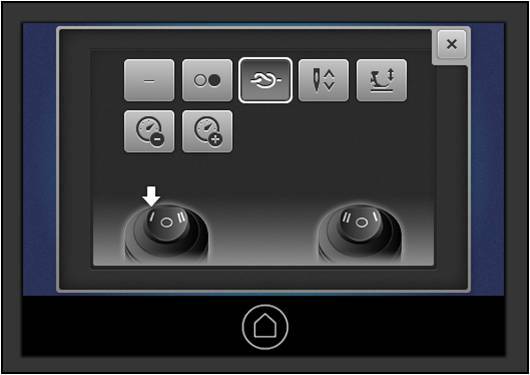 For people that own BERNINA 8 Series and newer BERNINA 7 Series machines the interface (screen functions) will look very familiar—making this a very easy transition. Also included are helpful instructions and videos that answer many common questions about threading, maintenance, bobbin winding, etc. One amazing feature of this machine is the Digital Tension—from 0 to 10 in .25 increments. The default setting should be fine for most threads but you can easily adjust the top tension as needed on the screen. A bobbin winder is located conveniently at the front of the machine. Easily wind bobbins while you are right at the machine. 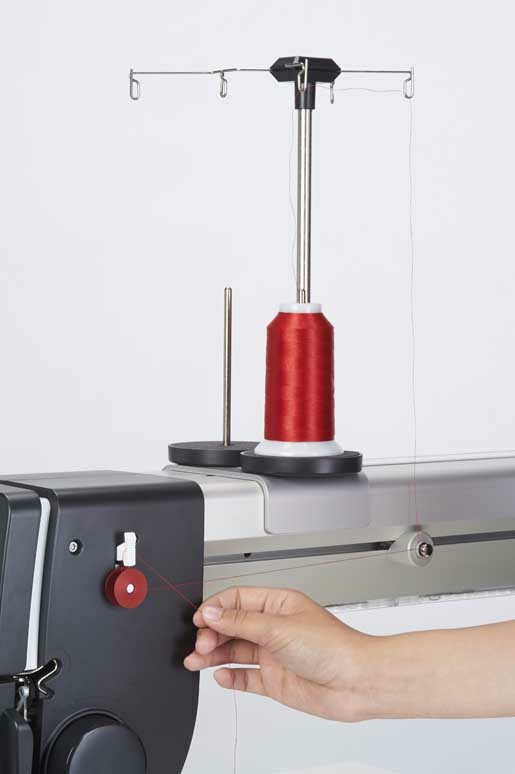 It uses the larger M size bobbins giving you plenty of bobbin thread. The frame is and sturdy ensuring that the machine can move with ease and without any wobbles. The poles that hold the quilt backing and top are solid and won’t bow or bend and the pole that holds the quilt top easily lifts so that you can adjust the batting between the quilt layers. A great storage shelf is available as an add-on as well. 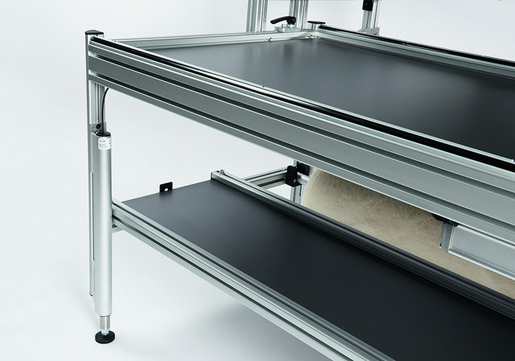 In addition there are great storage trays that hook onto the frame to store your various tools, and there will be a hydraulic lift available to make adjusting the height of the frame a breeze. 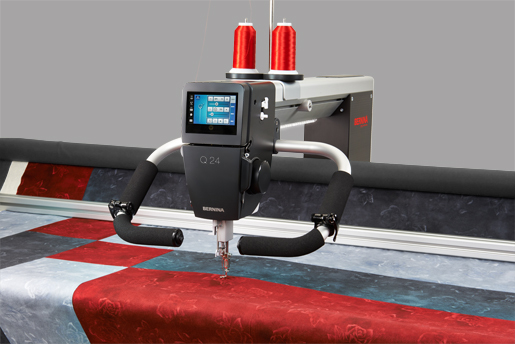 The longarm has the renowned BERNINA Stitch Regulator (which is presently celebrating its 10th Anniversary), which has been adapted for the longarm. 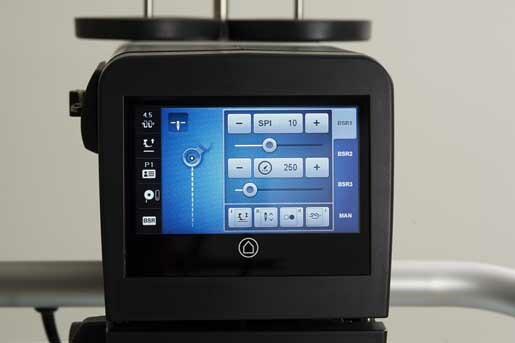 The machine has three Modes: BSR 1 and BSR 2 and they function in the same manner as on the domestic machines, it also features BSR 3—which is a basting stitch, as well as a Manual Mode. The sensors are located in the stitch plate and the fabric moves over the sensors. 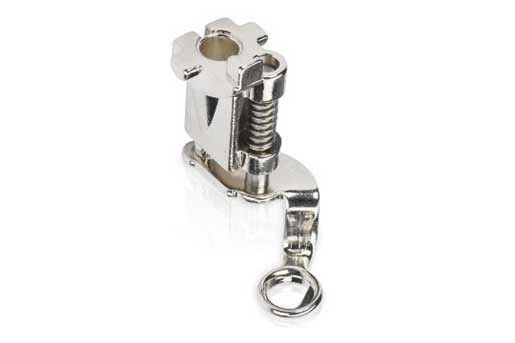 Because of this the machine glides and moves smoothly when using the stitch regulator. 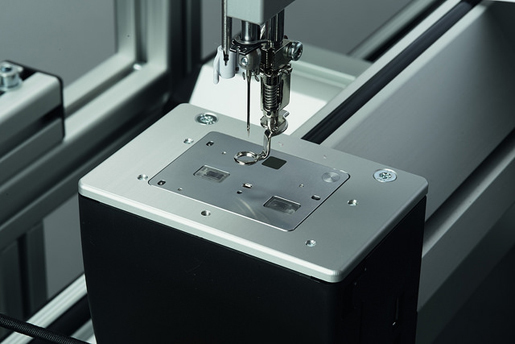 The machine can stitch 2200 stitches per minute—yes, when you crank this machine up it can really fly! 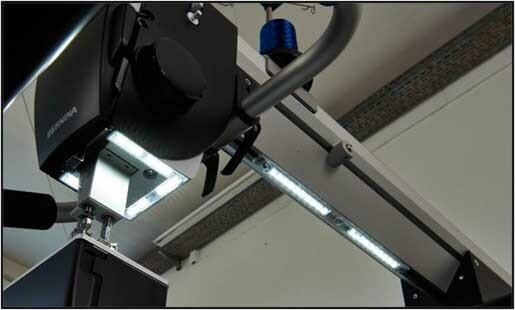 The machine head has stellar LED lighting that runs the full length of the machine head. You will not be lacking for good lighting with this machine. These are ten of my favorite features, there are many more, but I believe these are some that help set this machine apart from all the others. Many of these features also are true of the Q20 Table Model. Take one of these for a test drive and see how wonderful they are—find them at a quilt show or visit a BERNINA store near you who is carrying the machine. Once you try it I think you will also fall in love with it. I have had my Q20 with table (unfortunately, I don’t have room for a frame) for a while now and each time I use it I fall even more in love with it. I have never had a tension issue and it sews like a dream. I love how responsive the BSR is with two sensors and the fact that I can use the same free motion feet as my 880. Also, the screen is very similar to my 880 and I can use the same needles. For someone who had never worked with a long arm before, I was able to use and quilt with my Q20 as soon as I received it. Now I can quilt all my tops and know I made them from beginning to end. ~ Carol S.